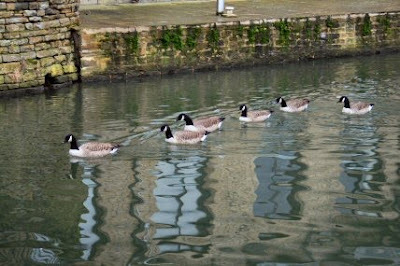 The mooring is to be recommended as it is quiet and close to the shops. 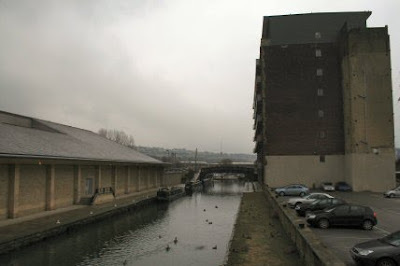 Across the canal is a large block of flats that I saw being changed from an old disused mill seven years ago. Rather up market with a gym for the residents on the ground floor. Being so close to the town one wonders at the lack of passers-by. 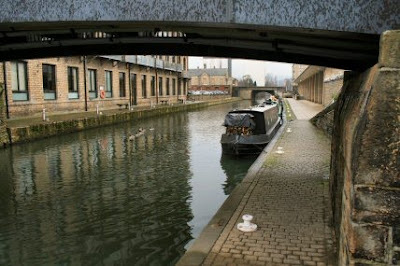 Mind you the only thing along here is the canal and part of a local walk. The evidence of that walk is left behind by a number of the participants. I do wish they would clear up after their dogs. 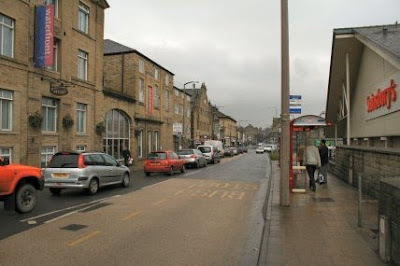 There are not the large shops of Huddersfield here but there are all the services that you could want. If you don't like Sainsbury then a short walk will take to to a giant Tesco. There is a mix of old and new with the past buildings still standing here and there. The bus shelters with the electronic display of the next bus due seems a bit incongruous :-) but very handy. 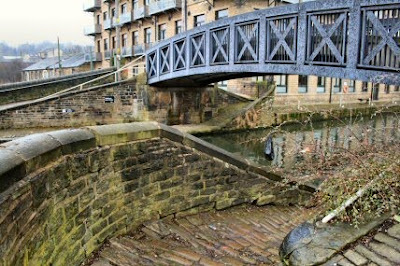 Two minutes up the road is the railway station and its only 6 minutes to Huddersfield. 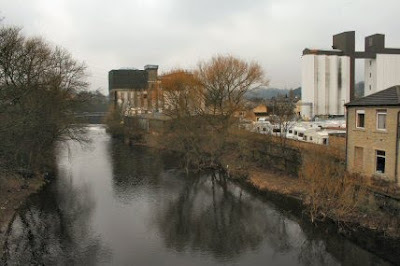 The place is full of old mills or the remains of them near the River Calder. There is one more modern that is on the right of the pic. 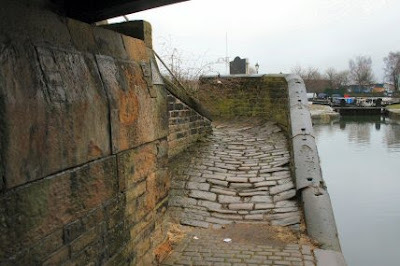 The main arch of the bridge has been replaced but the way the horse cross over can been seen. The view from the window has changed. There are very few swans up here but lots of Canada geese. There is a wetland a bit further on where I have been told that they gather in large numbers.